I should have made this announcement earlier as I’ve had several inquiries regarding the lack of Song of the Day posts this week. Well MizMuzers, the simple answer is this: MizMuze needs a holiday. Part of the more complex answer is that I can no longer access my blog during the day—Big Brother/Thought Police kinda stuff (in fact, I had to find a secret location just to publish this post…shhh, they’re watching you). 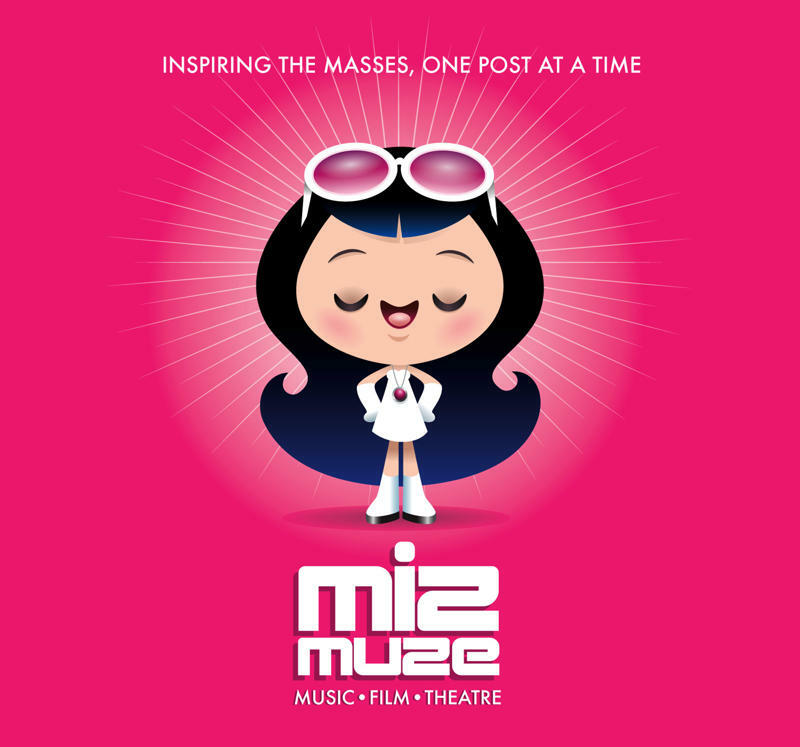 But the good news is that MizMuze’s first year of blogging was simply amazing! Just a few stats to illuminate how great 2010 was…with 342 posts, 302 concerts on the 2010 Concert Calendar, and over 300 fresh and talented up-and-coming new bands that were brought to you via the Song of the Day (SOTD), I can’t help but be optimistic that 2011 is going to bigger and better than ever. So for now, put on your favorite record, and I’ll see you on the flip side! 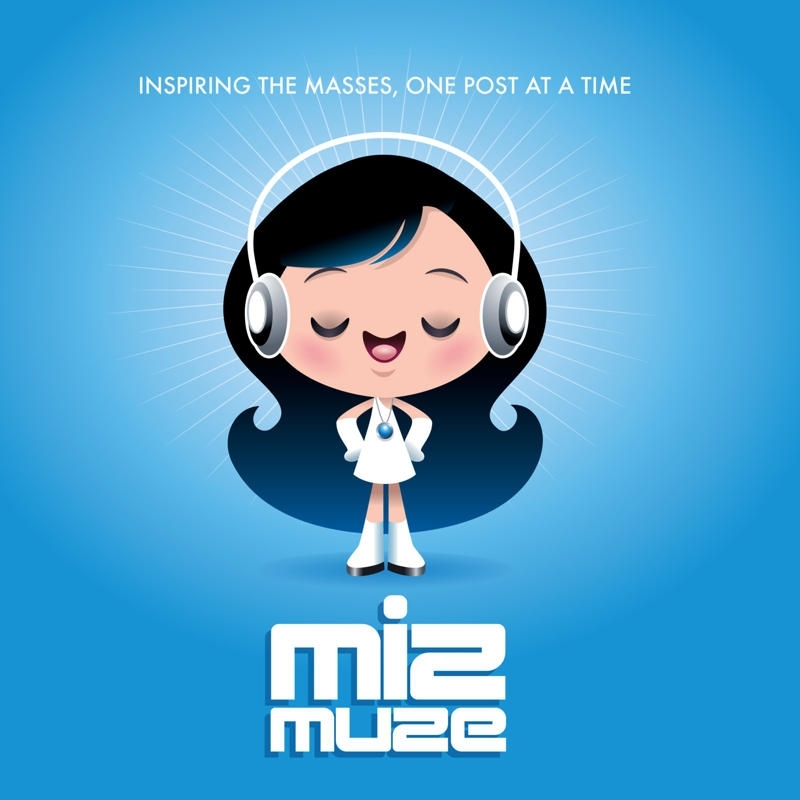 For the past six months, MizMuze has endured snickers from several “friends” who dogged MizMuze’s generic avatar (which was always intended as a place-holder). One such friend/chastiser happens to be the very talented illustrator, Jerrod Maruyama. MizMuze and Jerrod go waaaay back…I’m talking all the way back to the days when we were just baby deities, running around Mount Olympus in our diapers and toddler togas, honing our talents in drawing and inspiring. When I asked Jerrod to develop a MizMuze character, he jumped at the opportunity to help me “get rid of that ridiculous picture” I was using. Well, after months of discussions, studio sessions, and late nights, Jerrod has finally captured the awesomeness of MizMuze! Next time you’re at the pub and it’s Liverpool vs. Manchester United, you can now rest easy knowing that no matter who’s winning, you will not be “glassed” to death by a football hooligan. 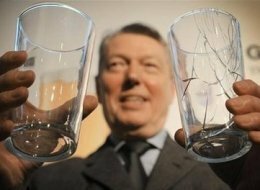 The shatterproof pint glass was unveiled be the British Government yesterday and they have estimated that the country will save “billions” in health care costs by coming up with a glass that doesn’t double as a lethal weapon. What?! Apparently in the UK there are approximately 87,000 alcohol-related glass attacks each year, with many resulting in hospital visits. Home Secretary Alan Johnson stated, “Glassing causes horrific injuries and has a lasting and devastating impact on victims and their families, I hope these designs will help bring an end to such attacks.” Hmmm, perhaps the British Government may have solved America’s healthcare reform problem. So drink up soccer supporters, you’re pint glass is in safe hands.